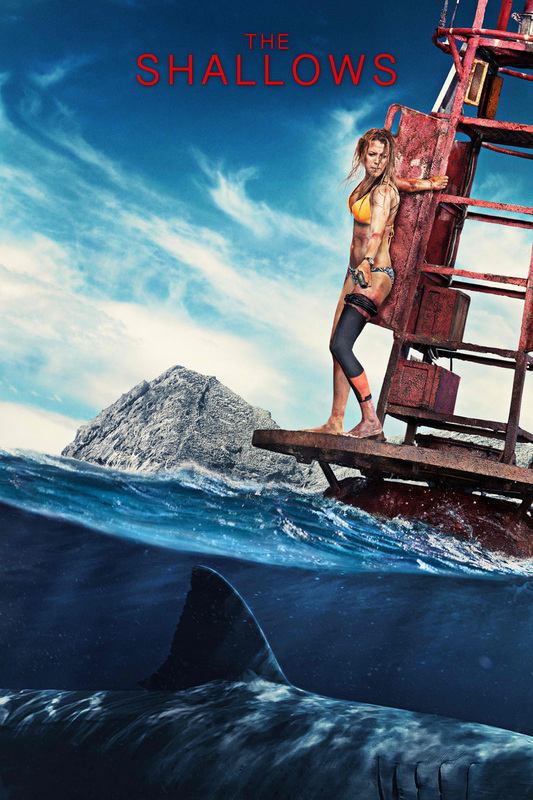 Home / HORROR/SUSPENSE / Non-Stop, Pulse-Pounding Suspense in "The Shallows"
Non-Stop, Pulse-Pounding Suspense in "The Shallows"
From Jaume Collet-Serra, director acclaimed thrillers “Unknown” and “Non-Stop,” comes Columbia Pictures’ suspenseful tale “The Shallows” where a female surfer finds herself in the feeding ground of a great white shark. In “The Shallows,” Nancy (Blake Lively) is seeking solace after the death of her mother. Though she’s been a driven medical student, Nancy has also found peace on a surfboard, and now has located what she’s looking for – the secret beach that was a special place for her mom. Though she knows it’s dangerous to surf alone, she risks it when her travel companion bails – even calling home to let her tight-knit family know that she has found this special place. As she surfs in this beautiful, hidden place, she thinks it will be a chance for her to reflect.